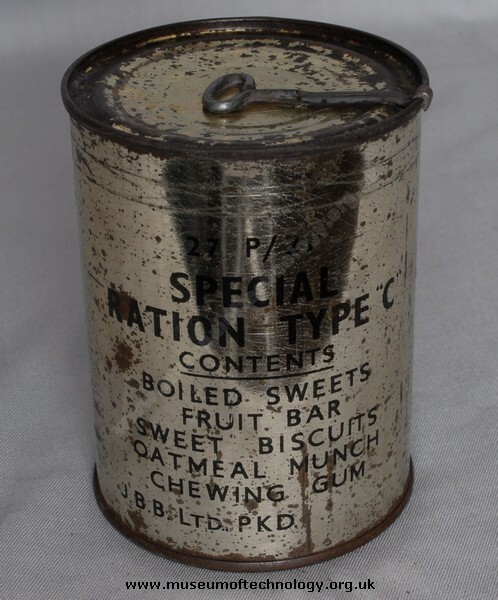 Tin containing a ration of sweets, fruit bar, sweet biscuits, oatmeal munch & chewing gum. A visitor to the museum told how he and his regiment eat tins of WW1 rations during the Second World War. The contents of the tin shown would probably still be OK to eat.